1. Sign up for a monthly subscription to take advantage of the plugins you need and our HTTP Post Generator. 2. You will receive temporary login information via email. Log in to the My Account area and change your password. 3. Register your Infusionsoft App in the My Account area. a. You App Name is found in the url of your Infusionsoft app. For instance, if when you are logged into Infusionsoft you see “ab123.infusionsoft.com”, you app name is ab123. b. Your API key can be found in your Infusionsoft app, under Admin > Settings > Application. Click here for more detailed directions. c. Create a secret Pocket Developer token, which should not have any spaces or special characters, and must be unique. (We’ll let you know if it isn’t.) This is an added layer of security — your app name alone is not secure (as it shows up on all public forms). b. Visit the HTTP Post Generator (HPG) and select the plugin you wish to use. (NOTE: Not all of our plugins are available in HPG.) You can save your HTTP Posts for future use, or generate a single URL link for them through HPG. 6. Log in to your Infusionsoft app. 7. 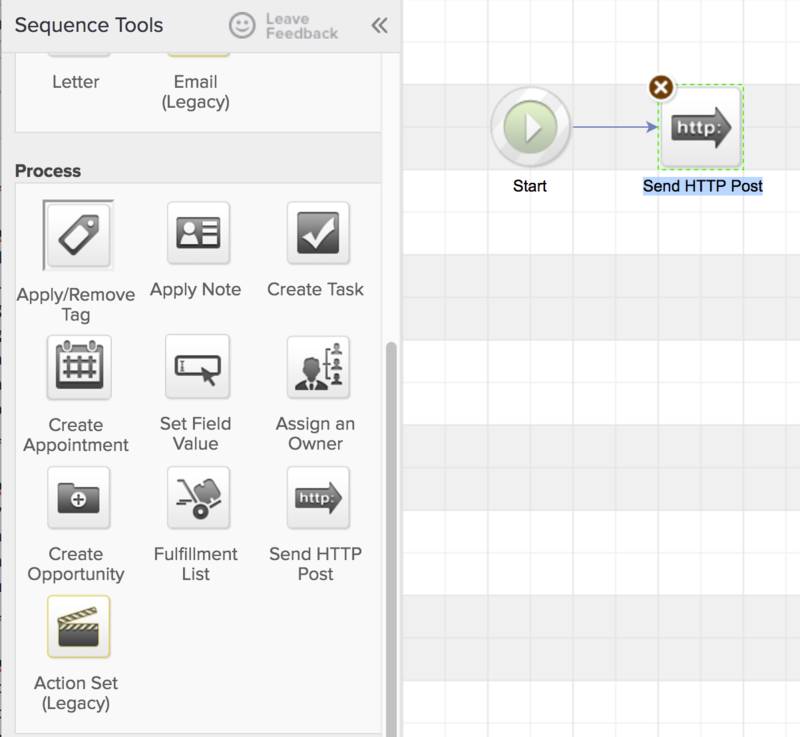 In Campaign Builder, drag the HTTP Post process onto the canvas. 8. Copy and paste the information from HPG into the HTTP Post, or follow the instructions on the documentation to create your HTTP Post. 9. 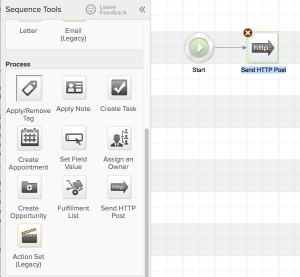 To test your HTTP Post, do NOT use the test mechanism within Campaign Builder. Instead, publish your campaign and then add a contact to the sequence you just created. Once tested, you can make changes in Campaign Builder and publish them, and then just Repost from the contact’s Campaign History to retest.